A study in the US of autistic adolescents found that therapeutic horse riding was more effective than stress management programs in lowering levels of cortisol, the hormone that regulates body processes including stress. For the study, researchers at Slippery Rock University in Pennsylvania focused on the comparative effectiveness of stress management techniques and Therapeutic Riding (TR) on stress levels of adolescents with Autism Spectrum Disorder (ASD). The team, led by principal investigator Dr Martha Kemeny, compared an evidence-based stress management protocol (HeartMath), a TR protocol, and a no treatment control for 27 young adults ages 13 to 22 with ASD. All interventions were one hour in length for 10 consecutive sessions. The study was a randomized three-period crossover trial in which participants were randomly assigned to the order in which they receive TR, HeartMath, and no treatment control. Results show that this particular stress management protocol and therapeutic riding protocol are equally effective in decreasing salivary cortisol. But, in comparing the two phases, the therapeutic riding protocol showed greater changes in cortisol levels than did the stress management program. HHRF board president Pam Cusick. 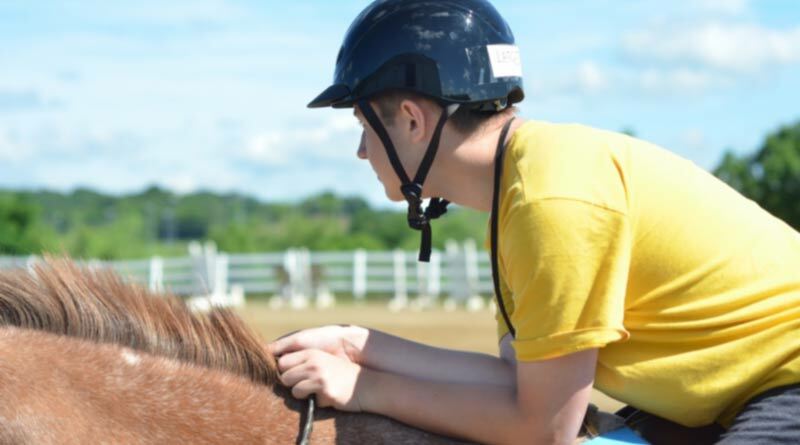 The researchers noted that youth on the autism spectrum who are lower functioning in verbal exchange may have more difficulty actively participating in the stress management program than therapeutic riding. The study was funded by the Horses and Humans Research Foundation (HHRF). Board president Pam Cusick said the foundation was thrilled with the results. “Adolescents with autism spectrum disorder report high stress and anxiety levels that impact functioning in the community. The results of the study can be downloaded here (Word file).